Music has a way of entering the soul, enticing listeners to become one with the melody. 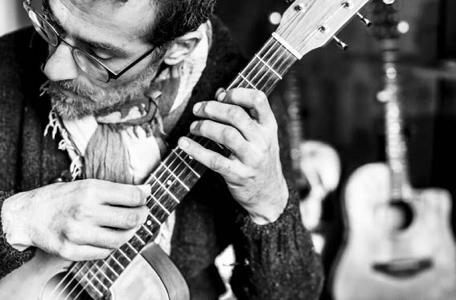 Internationally renowned composer and guitarist Pino Forastiere has mastered this concept along with various music styles including jazz, rock, improvisational, and classical music. And he’s coming to Ferndale! Thanks to the Michigan Fingerstyle Guitar Society, Forastiere is stopping in Ferndale, while on tour in America, to perform in concert at First United Methodist Church (22331 Woodward Ave.) on Saturday, October 29, 2016. Fifteen years ago, Forastiere moved away from using classical nylon-stringed guitars and decided to compose his music on lightly amplified steel-stringed instruments, after hearing a CD of the late American composer and guitarist, Michael Hedges. The Michigan Fingerstyle Guitar Society is a nonprofit organization supporting the art or style of fingerstyle guitar. 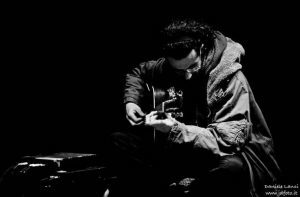 “Fingerstyle guitar encompasses a lot of different kinds of music, and basically we look for unique guitarists who are in a late level in their style. Most of them just do their original compositions, so that shows the unique component to this,” said President of the Michigan Fingerstyle Guitar Society, Ron Stavale. Stavale said it took a few months to plan the concert. “I knew about six months ago that Pino would be coming to the states. So our group helped him set up about seven concerts in Michigan, one in Ohio and one in Wisconsin. We don’t do that for all the artists, but if they’re from Europe and the language is an issue then we try and help them out,” Stavale explained. The Michigan Fingerstyle Guitar Society has an average of six concerts and workshops per year. Although a workshop isn’t planned for Forastiere, the organization is open to having one if enough interest is garnered. Tickets are $20 at the door and the show starts at 8 p.m. Doors open at 7:30 p.m. First United Methodist Church (22331 Woodward Ave.) on Saturday, October 29, 2016. For more information about The Michigan Fingerstyle Guitar Society please visit www.fingerstyle.org or email the group at michfingerstyle@gmail.com.